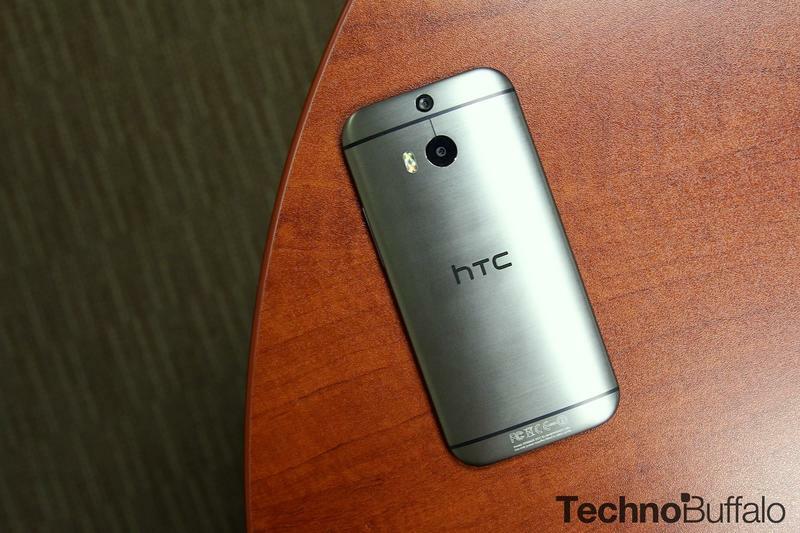 The HTC One (M8) is finally official. It differs vastly from the One (M7) that came before it — it has a larger display, better speakers, a faster processor, expandable storage, new Sense 6 software and a super unique “Duo Camera” that adds some compelling use-case scenarios. The One (M8) differs from other flagships in several ways, and it has a few particular features that really stick out. Where the Galaxy S5 digs an inch deep a mile wide with several features, spanning from a heart-rate monitor to a 16-megapixel camera, HTC dug deep into specific areas inside of multimedia to create improvements. 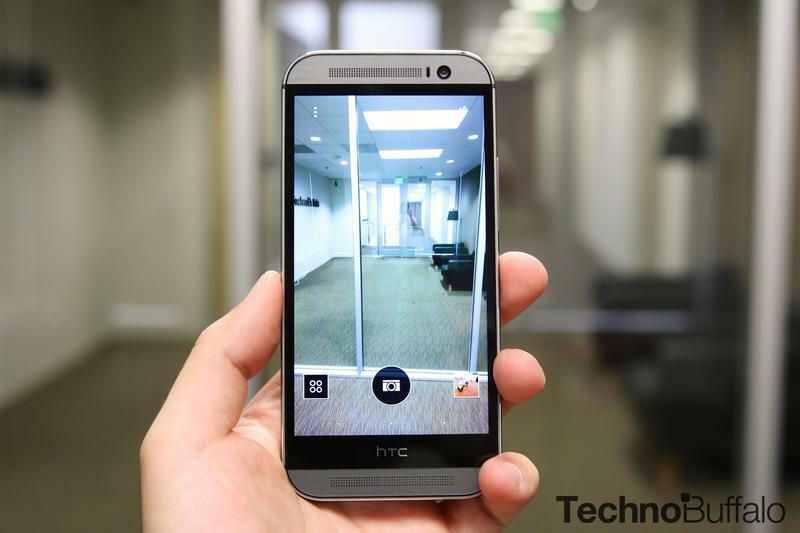 We’ve been playing with the HTC One (M8) for a few days now, and here are our top 5 features so far. This is probably the one feature that stuck out most in all of the leaks. If you’re like us, you were probably just as curious as to what the dual-camera setup on the back of the phone was for. Now we know, and it’s officially called Duo Camera. We’ve been testing it for a few days now, and it’s amazing. First, there’s a 4 UltraPixel camera lens, but it’s slightly better than the original UltraPixel camera in that it takes better shots all around. Low light shots are even better than before, you can focus in just 0.3 seconds and capture photos in a fraction of a second, and you can tweak your photos in a number of ways after they’re shot. How? That’s thanks to the second “UFocus” option, which takes advantage of a sensor that’s only used for grabbing depth data. That means you can change the focus by blurring the foreground or background, adding what’s known as “bokeh” that’s offered by more expensive DSLR cameras. There’s even a 3D option that creates a parallax effect where the image in the front appears to pop off of the background. The camera is blowing us away so far. 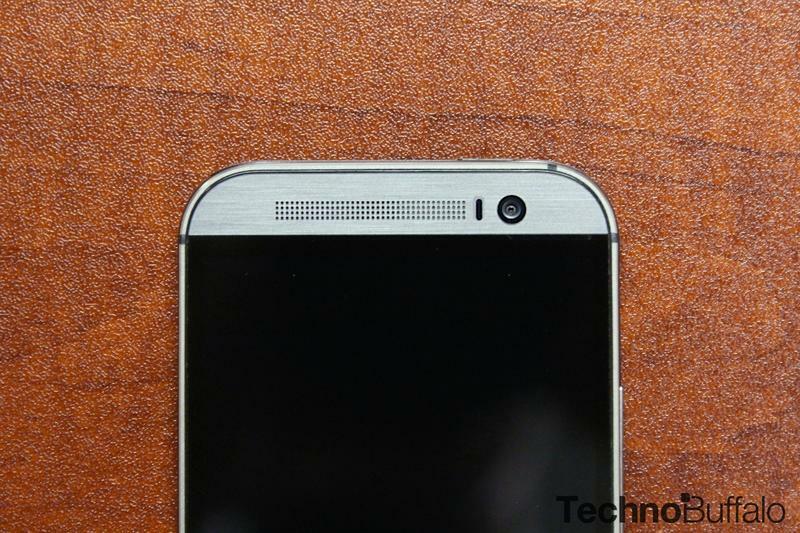 The front-facing BoomSound speakers on the original HTC One were great, but they’re even better on the HTC One (M8). They still face forward, meaning you get a great audio experience whether you’re playing music or watching a video. In the One (M8), however, they’re 25 percent louder than before thanks to redesigned speaker chambers. HTC also added a new digital signal processor (DSP) for clearer audio and re-built software so that bass and treble levels are clearer and more accurate. You can hear the results, and there’s much better depth to music we listened to through the (M8). These are easily the best speakers around… yet again. The HTC One M7 is still one of the most beautiful handsets we’ve ever come across, and certainly the best looking Android handset on the market. The One (M8) naturally steals that crown with an even more beautiful and fashionable design. The One (M8) doesn’t look like any other phone, and the second we held it we could tell a lot of craft and precision went into its build. This time, the aluminum body runs right up to the screen — you won’t find the plastic edges running down the sides — and that’s because HTC was able to build the antennas right into the aluminum uni-body. 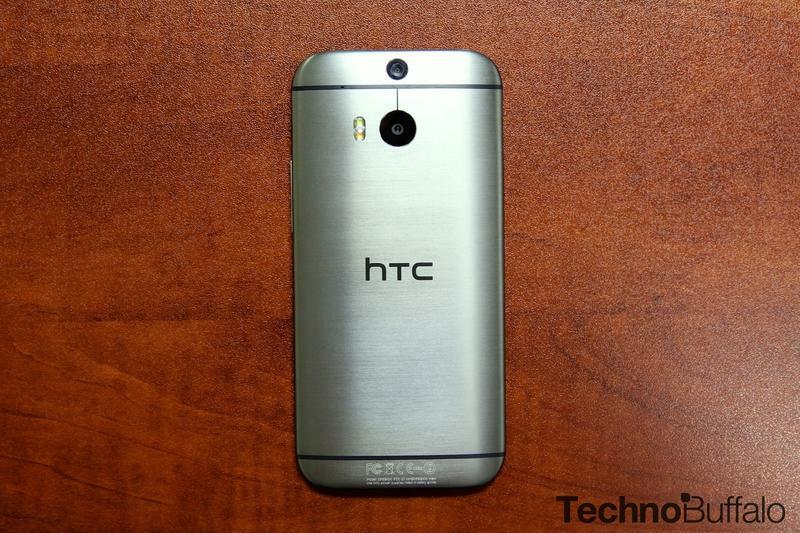 Because of those changes, the One (M8)’s housing is 90 percent aluminum, while the original HTC One had a back housing that was 70 percent metal. It’s just as easy to hold as last year’s model and it feels perfectly balanced, despite in the bump to a larger 5-inch display. When we met with HTC recently, we joked about how it seems like the battery on any device seems to drop from 5 percent to completely dead in the blink of an eye. That’s no longer an issue with the HTC One (M8) Extreme Power Saving Mode. The phone can automatically, or manually, be tweaked to milk the very last drops of battery life for many extra hours, allowing you to place phone calls, send text messages, manually pull in your mail and more. Hopefully your phone will never be dead in an emergency again, and it shouldn’t be. In fact, with a 5-percent charge you can expect an additional 15 hours of battery life using Extreme Power Saving Mode. At 10 percent you can expect 30 hours, and at 20 percent you’ll get 60 hours — more than a few days! The original HTC One had a single LED flash that was admittedly weak, especially in the face of the competition that has since introduced dual-LED flash solutions. 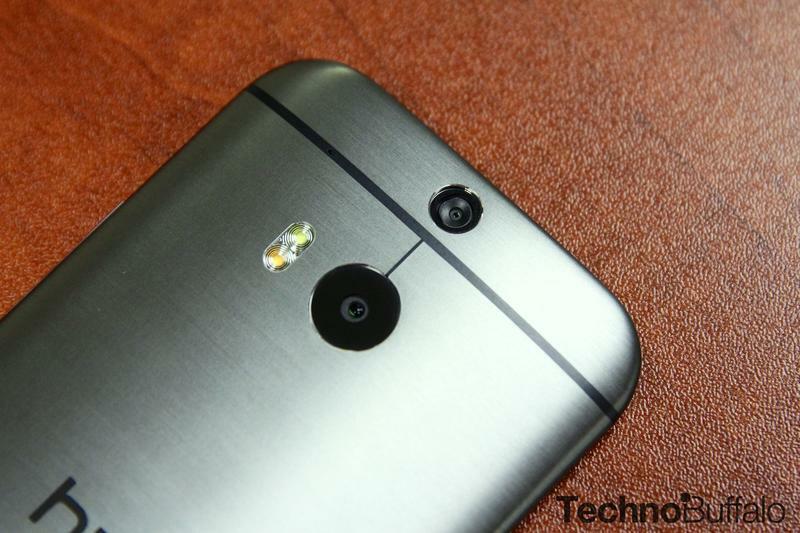 The HTC One (M8) now packs a dual-LED flash that works similarly to what Apple introduced on the iPhone 5s. It’s called Smart Flash 2.0 and the flash bulbs will fire appropriately, depending on the lighting conditions and the subject, to make sure that skin tones and other colors appear more natural. It’s also going to help make sure your pictures don’t look washed out, no matter what sort of conditions you’re shooting in. So far we’ve found that it works spectacularly, and that the performance is much better than what we saw on last year’s One. We’ll stop here but, really, there’s so much more to talk about. The HTC One (M8) offers a ton of improvements over last year’s model, from Sense 6 to a brand new camera UI that’s fun and easy to use. There are new motion controls, too, and HTC’s Zoe application will soon allow users to collaborate on Highlight reels. We’ll be bringing you a full review where we’ll go over all of these new features in the coming days.